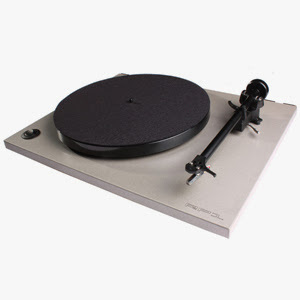 Definitive Mono Editions on Vinyl! In the revolutionary musical atmosphere of the second half of the 1960s, no artist embodied the era's spirit of creative freedom and freewheeling self-invention more strongly than Donovan. Born Donovan Philips Leitch, the multitalented Scottish troubadour rose from the U.K. folk scene and was initially hailed as Britain's answer to Bob Dylan. But he quickly transcended his original folkie image to adopt a more distinctive and expansive vision that put him in the vanguard of the psychedelic/flower-power explosion, while also exploring his interest in blues, jazz and Eastern music. Embracing an optimistic sensibility that exemplified the era's most idealistic hopes and dreams, Donovan was one of the few '60s artists who managed to make consistently inventive and popular albums while also scoring regularly on the singles charts, and his unique body of work remains as compelling today as when it was first created. Now, Sundazed presents three of Donovan's classic '60s albums in their original LP configurations, featuring high-quality vinyl, definitive mono mixes and complete original cover art. 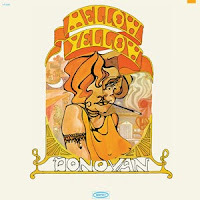 Donovan's fourth album, 1967's Mellow Yellow, is a dynamic transitional effort that finds the singer-songwriter-guitarist expanding his artistry into rewarding new areas. In addition to the sing-along title hit, which famously inspired a persistent urban legend regarding the recreational consumption of banana peels, Mellow Yellow encompasses acoustic introspection ("Writer in the Sun"), crafty art-pop ("Museum"), bittersweet insight ("Young Girl Blues"), beat poetry ("The Observation") and a fond nod to British folk icon Bert Jansch ("House of Jansch"). In addition to the production of British Invasion legend Mickie Most, Mellow Yellow features ear-catching arrangements by future Led Zeppelin member John Paul Jones and sitar by cult singer-songwriter Shawn Phillips. With its original mono mix capturing the vibrant vibes of Donovan during this incredibly creative and productive period, this vintage gem has never sounded better! 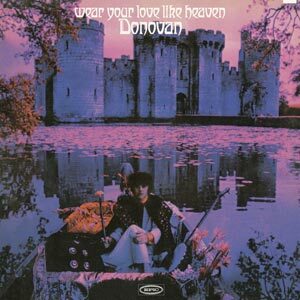 Donovan's 1967 release Wear Your Love Like Heaven is one of his brightest and most upbeat albums. 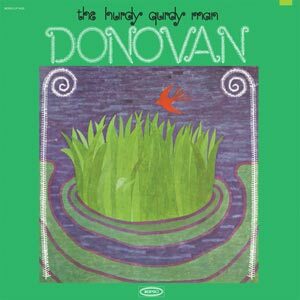 Also released as the first half of the landmark two-CD box set A Gift from a Flower to a Garden, it finds Donovan in mostly electric mode, and taking an increasingly active production role that he would maintain for the rest of his career. In addition to the dreamy title hit, the enchanting set features such beloved Donovan standards as "Mad John's Escape," "Oh Gosh," "Skip-A-Long Sam" and the Shakespeare-inspired "Under the Greenwood Tree." In addition to its pristine original mono mix, this definitive LP edition boasts one of Donovan's most memorable cover designs, featuring a haunting infrared photograph of the artist by noted photographer Karl Ferris. 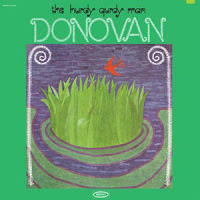 With 1968’s The Hurdy Gurdy Man, Donovan delivered one of his most full-realized works, with a psychedelic/progressive edge as well as an exotic Eastern flavor that reflects the influence of his then-recent trip with the Beatles to India to study with Maharishi Mahesh Yogi—an experience that helped to inspire Donovan to renounce drug use and encourage his fans to try meditation instead of chemical consumption. While the title track introduced a heavier-sounding Donovan to AM radio listeners and became one of his biggest hit singles, the smash “Jennifer Juniper” maintains his gentle, romantic side. The album’s playful experimental spirit is reflected in the innovative use of drones on such tracks as “Peregrine” and “Tangier,” and in the music-hall diversion of “As I Recall It,” while “A Sunny Day,” “The River Song” and “The Entertaining of a Shy Girl” showcase Donovan’s knack for idyllic, pastoral songcraft. Sundazed’s vinyl edition of The Hurdy Gurdy Man features the album’s rare, much sought-after original mono mix, doing justice to the sonic presence and creative imagination of this vintage gem. By 1966 Donovan had evolved beyond his initial folk troubadour style and fully embraced the budding “flower power” movement. Finding inspiration in jazz, blues, world music and West Coast U.S. rock, he partnered with top UK producer Mickie Most and arranger John Cameron to capture the sound he was pursuing in his mind. 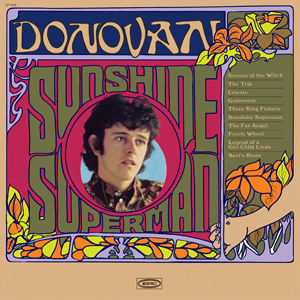 Their first collaboration, the “Sunshine Superman” single, was a smashing success, reaching #1 on the U.S. charts and establishing Donovan as a major pop star. Containing a prominent psychedelic vibe and featuring exotic instrumentation like sitar and tablas, it foreshadowed the Summer of Love zeitgeist by a full year. Recorded at EMI Studios London, it also featured session guitarist and soon-to-be Yardbirds/Led Zeppelin member Jimmy Page. Upon signing with Epic Records in the U.S., Donovan, Most and Cameron traveled to Los Angeles to continue recording at CBS Studios. The subject matter of the songs ran the gamut, reflecting Donovan’s interests and influences. “The Fat Angel,” a tribute to Mama Cass, also name checks The Jefferson Airplane (who returned the favor by covering the song on their live album Bless Its Pointed Little Head). “Bert’s Blues” honors UK folk pioneer Bert Jansch , a major influence on Donovan, Page and many other British guitarists. “The Trip” salutes the L.A. club of the same name and mentions Bob Dylan, Joan Baez, director Federico Fellini and the Buddhist concept of Zen in the lyrics. 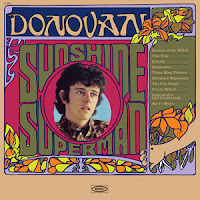 Elsewhere, the foreboding “Season of the Witch” served as the dark reflection of the cheery “Sunshine Superman” and remains one on Donovan’s most intriguing songs. Sessions for the Epic album, to be titled Sunshine Superman, concluded in May 1966 and it was released in the U.S. in September of that year. Due to a contract dispute with his former label, Pye Records, the album was not released in the UK until 1967, and then in a greatly altered form. 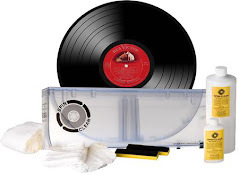 The dispute, stemming from Donovan’s move to Epic, delayed the UK release of future recordings as well. This legal wrangling put Donovan in the rare position of a UK artist whose records came out in the U.S. before they appeared in his homeland. This Sundazed reissue has been sourced from the original analog Epic tapes in the rare U.S. MONO mix! Cameron’s arrangements sparkle as the instrument lineup varies from song to song (listen closely for Shawn Phillips on sitar!) as Most’s production expertly frames each track. Above all, Donovan delivers an incredible collection of songs, perfectly preserving a moment in time. It is now yours to enjoy forever. Please visit CollectorsFrenzyfor daily updates! also did some checking, there are 1,761,368 active listings for the search term LP on eBay today, slightly above the weekly average. 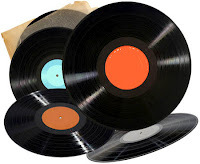 Lots of records for sale on the big vinyl machine and lots of expensive records changing hands!